For satellite viewers with multi satellite dishes and receivers, a new option to include the standard French channels TF1, M6, France 2,3,4,5 etc , without changing your receiver…. The FranSat cards do not have a limit. Simple! The TNT cards are initially guaranteed for 4 years. The broadcaster will turn on a reminder screen about 3 months before the card expires. 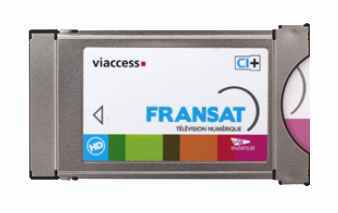 French residents can update their cards for 15Euro on the TNTsat.tv website , for Uk residents I can provide the update or new card for £25. Email with your current card number – info@satellitetveurope.co.uk The new cards will be valid for a further 4 years. The reason given for the approach that TNT have taken is that the programmes broadcasters only have rights within French territory , wheras the satellites used to broadcast the programmes, can be received throughout Europe. Number one tip:- at the very least change the LNB, the old one will be well past its sell by date! 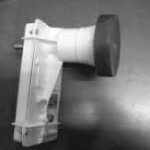 The old LNB will have a signal to noise ratio well in excess of any new LNB, even the cheapest available now are just a fraction of the noise figure of the ones from a few years ago. Trying to use an old type, can cause problems when you install your new receiver, with high or low frequencies, drifting or even no channels at all. Ideally change the dish too, modern high accuracy dishes need not be as big as the old analogue dishes. This is true of TNT, FranSat and free channels from France, all over the Uk. of your new Fransat or TNT box with new dish and LNB available .